A lovely 4 bedroom property, with a white fitted kitchen. Fully furnished with Leather Sofas. All bedrooms are doubles. Located of Albany Rd and the end of Roath Park. A modern 4 bedroom home, conveniently situated off City Road. 5 to 10 minutes walk from Cardiff Metropolitan University Cyncoed Campus, Cardiff University Engineering Building and the University of South Wales. 4 Double Bedroom house with 2 Lounge areas. 15 minutes walk to City Centre. Furnished with decent furnishings. Fitted kitchen, supplied with 2 fridge freezers, washing machine. £1040 PCM. Kingstons is proud to present a marvelous 4 bedroom student or professional house. A modern 4 bedroom property located 5 minutes walk to Cardiff Student Union. Modern furnishings and fittings. New fitted kitchen. Double glazing and central heating. Half rent summer period. Bathroom to be redecorated. A must see 4 bedroom with new carpet fitted and new light fixtures. 4 bed large property located just 5 minutes walk to city centre. The property comes furnished, Suitable for family or students. Nice walled rear garden. Freshly decorated and large fitted kitchen at the rear. 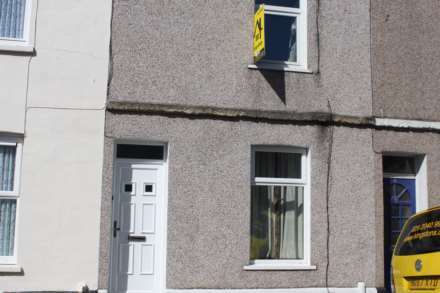 A 4 double bed house located in the heart of Cathays in the popular place of Wyeverne Road. Close to shops and the Student Union. Large living area, £1120 PCM, only £280 per person. Half rent in July/Aug.